You are invited to an Open House at South View this Saturday, February 7th from 10 a.m. - 2 p.m. 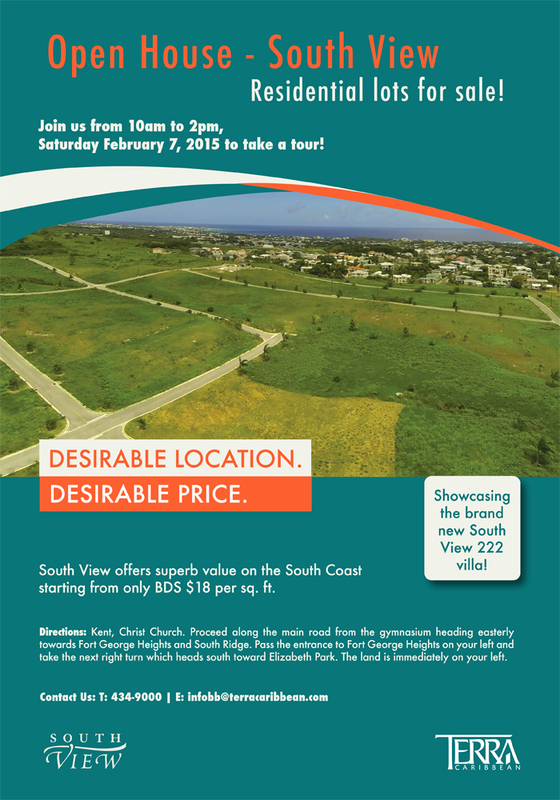 This is your opportunity to get a guided tour of the development, including the individual land lots available for sale and the modern, well-designed South View 222! Our sales agents will be on hand to give you a full rundown of the particulars and help you pick out that perfect land lot! The contemporary style of South View 222 is definitely something to see! The house was designed by Michael Lashley, and the interior has been professionally designed by Terri Archer (Archer’s Hall), so has the tasteful and quality finishes that one would expect. Directions:Proceed along the main road from the gymnasium heading easterly towards Fort George Heights and South Ridge. Pass the entrance to Fort George Heights on your left and take the next right turn which heads south toward Elizabeth Park. The development is immediately on your left.